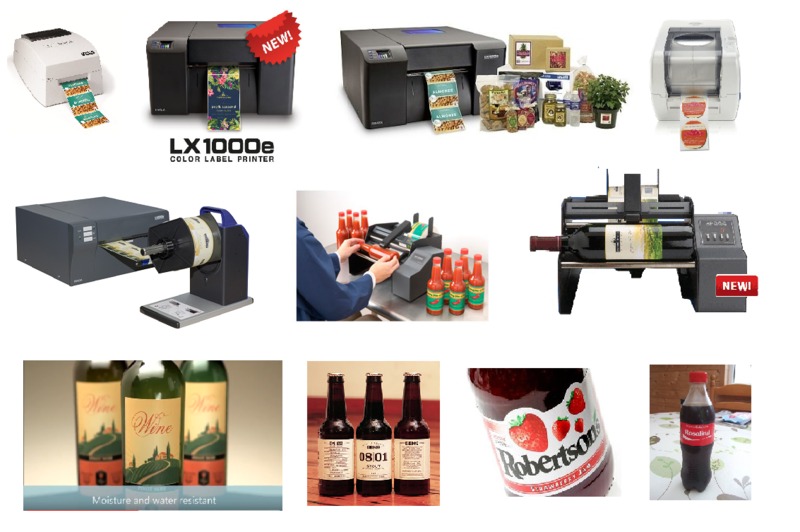 The PRIMERA LX range of full colour labels printers have been highly popular with our customers who want to print short runs and personalised labels for bottles, jars or cylinder package including sauces and wine bottles. The AP series of applicators will help put the labels on at speed and all correctly lined up. The FX foil printer adds gold, silver red or blue metallic foil logos and borders for that additional luxury look. The PRIMERA LX500e or LX100e or LX2000e come as a ready to use from the box package with printer, inks and BarTender label design software. We show in this video how simple it is to print one label for bottle wrap or separate front and back alternate labels that can go onto bottles. Also we show the compatible AL360e (one label) or AP362e (front and back label) apply unit that will help you speed up label application and also ensure the labels are aligned position every time. The FX400e is a foil imprinter that can add say a gold or silver shiny foil to the label after it has been printed on the LX colour printer. You create the artwork for the foil border or logo as a black image only but when printing to the foiler it adds the shiny foil of choice as an embellishment. We have gold, silver, bronze, red and blue metallic foils available. The printed labels are wound on the motorised winder option shown above then the roll is placed inside the FX400e and the foil is printed over the colour label adding value to the look of the label. Note the foil will not work well on our rough surface papers use foil only on our matt, semi gloss or gloss types without ribbed texture.